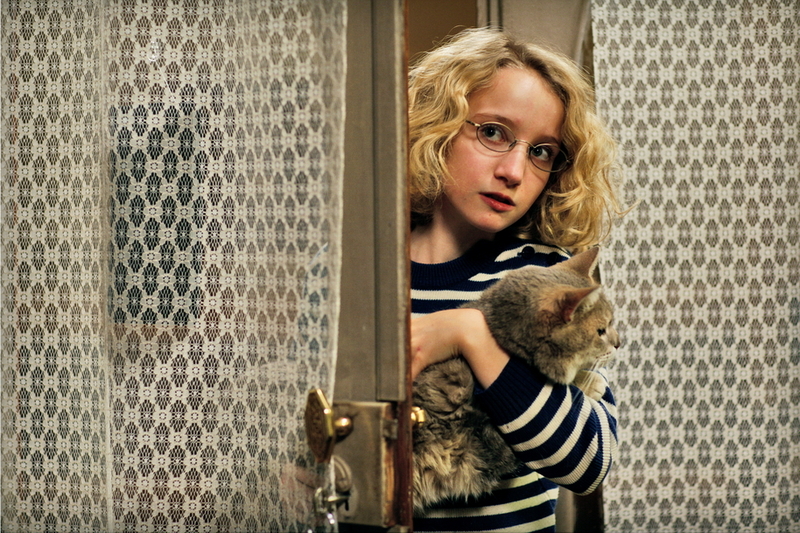 Eleven-year-old Paloma Josse is a precocious child who lives with her family in a small block of upscale Paris apartments. Her politician father is too busy to notice her and her mother is too self-involved. Paloma values nothing from her privileged world. She views the lives of the rich families around her as shallow and materialistic. Then a new tenant, Japanese businessman Mr Ozu, moves into the apartments and he notices the building’s quiet middle-aged concierge, Renée Michel. Both Paloma and Mr Ozu discover the dowdy, lower-class concierge is actually a well-read, secretive, elegant woman using a spiky persona to hide from the world. Thus she is ‘The Hedgehog’ of the film’s title. Muriel Barbery’s international bestseller The Elegance of The Hedgehog (“L’élégance du hérisson) is an examination of philosophy, literature, cinema, politics and the French class system. Whether or not you enjoy director Mona Achache’s film adaptation will depend on whether you accept the way she has interpreted the book’s literary devices. For example, Paloma’s precociousness will be a problem for some. My film-going companion was quite put off by the character’s detached intelligence. I liked the fierce purity of her moral outrage and the way her family are beneath her contempt. I felt this haughtiness made the rare times she was enchanted by an idea more appealing by way of contrast. The deliberate unnaturalness of having a child this intelligent and judgemental about society will be off-putting to some. Renée Michel the concierge is clearly the more sympathetic character. Despite being a widow and having more life experience than Paloma, she also tends to view the world in terms of polar opposites and this leads to her rather extreme choice to live a small life in which she restricts and controls what comes into her world. By pretending to be a grumpy, ill-educated working class concierge, she hides her finer qualities and remains alone for many years. The plot is paper-thin. This is a film of character detail and small observations. God is in the minutiae here. The story has two main strands. Paloma makes a momentous decision about her life and this plan is the countdown of the film. And what will happen when Mr Ozu sees beneath Renée Michel’s hedgehog disguise? I actually found Ozu the least convincing of the characters. Although well-performed by Togo Igawa, I felt the character wasn’t rounded in anyway. He was an arthouse Mr Miyagi with lessons to teach the less wise Europeans. This annoyed your Eurasian reviewer – getting an actor to play a stereotyped cultural trait is lazy filmmaking. Performances are strong. Garance Le Guillemic is excellent as Paloma and Josiane Balasko’s Renée is a subtle and at times moving portrayal of a person who doesn’t think she deserves the best the world has to offer and yet maintains hope, however small. Achache has made a very particular film which will irritate those who enjoy naturalism and well-behaved children with age-appropriate hobbies but it will enchant those who like their arthouse romance to be talky, intellectual, class-conscious and a bit melancholy.